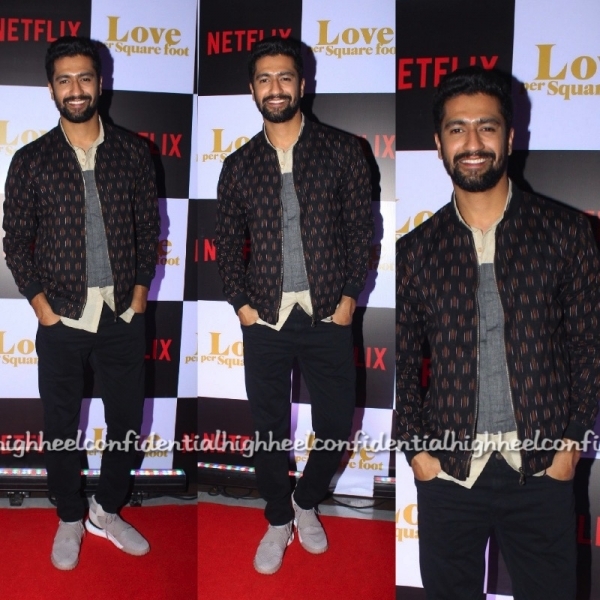 At the screening of his latest film, Vicky Kaushal opted to pair his handloom shirt with a Ikat printed jacket, both by Aapro Label. I liked the jacket but I wish he picked a white shirt instead of the dual toned one. What did you guys think? Just right or swap the shirt?